Offsetting the converted warehouse-style dining room, there is an expansive al fresco terrace for summer dining, and a cool bar serving a wide array of drinks. 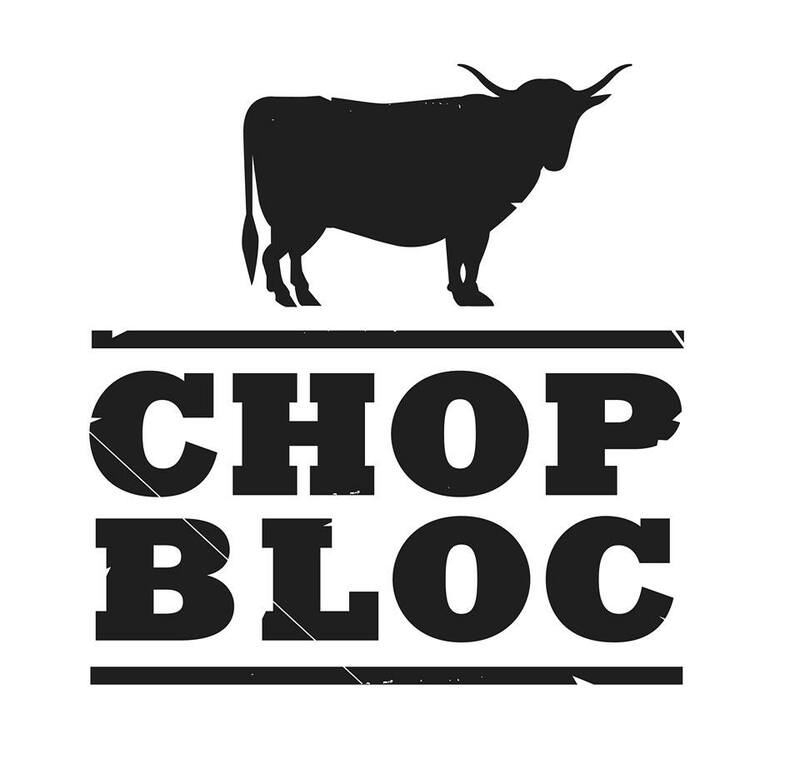 Welcome to Chop Bloc. We're housed in an 18th century former brewer's building bringing you three floors of exceptional steaks and burgers, including our very own Bloc Bar upstairs serving the finest cocktails in town. We are an independent business run by local people based in the heart of Chelmsford City Centre. We're passionate about meat and have learnt about all aspects of the farm-to-fork process. We've trained with the best, tasted the best and now we're bringing the very best in steak, burgers & classic grill dishes to Chelmsford. The nicest steak I have ever had... Cooked to perfection! We were unhappy with the steak we were served. The Manager was very helpful and brought out a new one, including the mixed veg side order. It's very rare that we would ever complain about a meal, however the cut of fillet my husband was served was very disappointing, and given the price, felt that we had to say something. This would all have been fine however, when the bill arrived, the replacement fillet steak and side order had been added to our bill. Luckily we checked it and the waitress kindly corrected it but this left a bad feeling after being served an unsatisfactory meal to start with. Overall disappointing for our family New Year's Eve meal. I had to send my steak back because it was bloody after asking for it cooked well (as I’m pregnant) and it came back still pink in the middle. So I ate the outside of what I could and passed it to my partner to finish off rather than sending it back again. Excellent food and wine, attentive, courteous staff and perfect restaurant atmosphere. We will definitely come back again. Thank you. Best steak burger I have ever eaten. The food was absolutely amazing, as always,  and  what makes the visit to Chop Bloc even more enjoyable is that absolutely every member of staff that we came into contact with was extremely friendly and very helpful. They make you feel as if nothing is too much trouble. We are looking forward to returning. We’re regular visitors to the restaurant but was left disappointed on this visit. The waitress managed to get our order wrong twice and the food was well below the normal standard. The burgers were bland as was the Mac & Cheese, which appeared to be a totally different recipe. Great evening and staff were fabulous and food was delicious. Food all came out warm and on time considering we were a large party. Name cards and crackers were a nice touch too. The food was brilliant but the portion sizes were too small. We ordered the starter and it did not arrive for at least 45 mins. I had to interrupt the waitress and ask as to how long and then informed we were next. When the Soup arrived, it was less than half the soup bowl. I asked the waitress and was said that’s the regulars amount. For the price paid, the portion size was too small. We had a really lovely meal and the service was fantastic. Molly was brilliant. Excellent customer service and looked after our party. Feedback from the party would be for vegetables along with chips as a side to complete the meal on the set menu. Fantastic service and FOOD ! Excellent evening. Waitress (Molly) really helpful and knowledgeable. Probably one of the bes5 rob-eye steaks I’ve ever had! Service is good although we did order two brandy’s at £18 each and had to chase them up. Food was nice, often eat steak at Hawkmore in the City so comparing it to the best steak restaurant in London and chop bloc is definitely a good steak. Would recommend the sea bass if your not into the meat, that was a nice and plenty of it. Expected better from a premium steakhouse. Our whole evening was farcical. Drinks served in inappropriate glasses, food order ‘lost’, and when it did arrive the manner of which it was served was awful. Had to ask for the plates after being told they couldn’t find any.... The main course arrived before starter plates were cleared. Dessert nearly slid off the plate due to the way the plate was shoved before my partner. We had our Office Christmas Party on Friday night and what a fantastic night we all  had. The food was amazing as was the service. It could n not have gone any better.